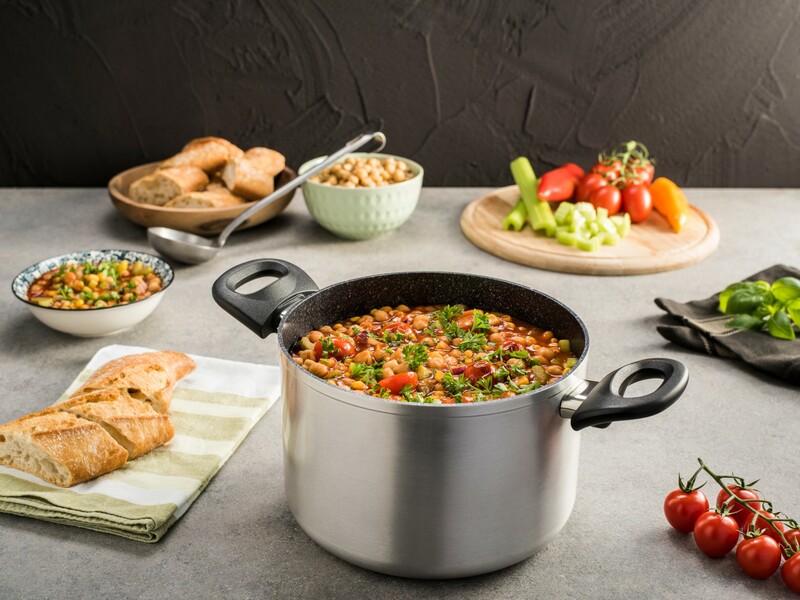 Pot with diameter 20 cm from Adriano’s ultimate cookware by Delimano is great for preparation of side dishes, soups or pasta sauce. It’s very lightweight, so cooking couldn’t be easier. The new rough coating with diamond and titanium particles will make sure nothing sticks to it and it is highly resistant to scratches and abrasion. Dishwasher safe. Safe for use with metal utensils. Delimano Adriano’s Ultimate Pot might be a small pot, but it sure will handle also big tasks. Prepare delicious soups for your entrée, make dashing sauces, and cook side dishes like potatoes, steam veggies, rice and other. 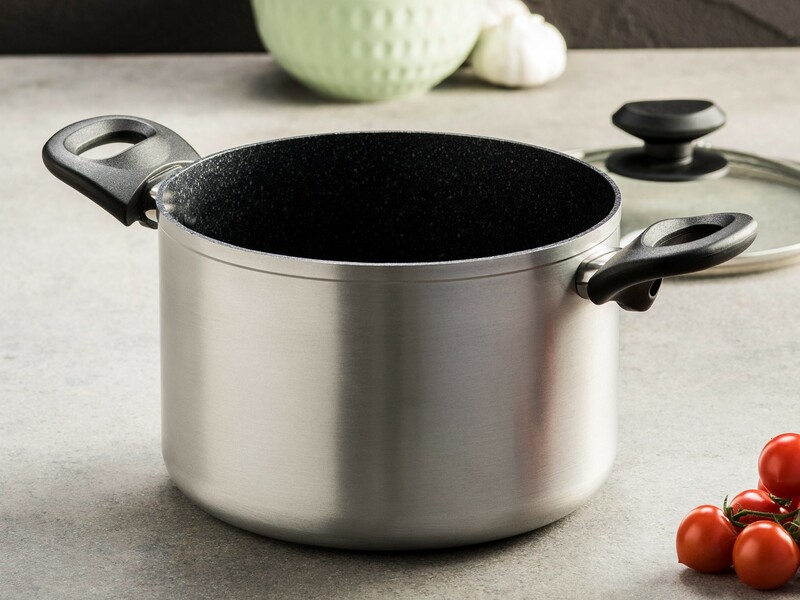 Impress your friends and family with professionally prepared meals in this advanced, extremely durable pot. The diameter of 20 cm is great for preparation of side dishes or pasta sauce and you can use it on all kind of hobs including induction. The core is made of aluminum, extremely light material with great heat conductivity creating no hot spots, so food will be cooked evenly. The brushed aluminum and black color looks dashing and creates a beautiful and professional look in your kitchen. 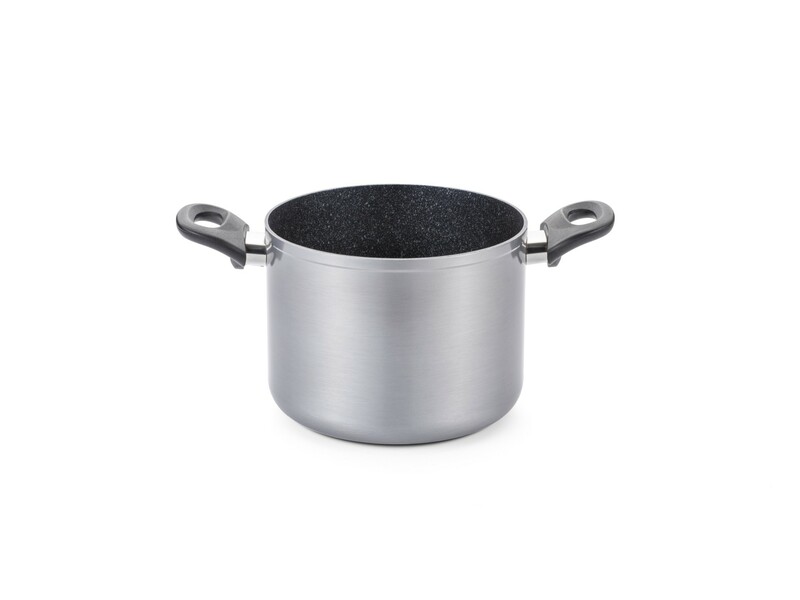 The non-stick coating of Adriano’s Ultimate pot contains titanium and diamond particles for high temperature and corrosion resistance, great heat conductivity and natural non-sticking properties. In combination with aluminum, this cookware will last you a lifetime, without deformation or changing its shape due to too high temperature. Delimano is presenting you a new Adriano's Ultimate line of cookware for professional-like results in the kitchen. Full range of products will provide you with everything you need – from pots and lids to roasters and casseroles.